Stirling Council is committed to providing quality services that reflect the needs of our customers. If something goes wrong or your are dissatisfied with our services, please tell us. Stirling Council has a centralised Corporate Enquiries Team. The team will work with you to provide a response to your concern in line with our Complaints Procedures. If you have any questions, please do not hesitate to contact us. Online: Our online form will be emailed direct to the Corporate Enquiries Team. We will coordinate your feedback and send it to the relevant service or team to investigate on your behalf. Our skilled customer service staff can take the details of your complaint. Alternatively, you can ask to talk direct to the Corporate Enquiries Team. We regard a complaint as any expression of dissatisfaction about our action or lack of action, or about the standard of service provided by us on our behalf. What can I complaint about? Your complaint may be about a service being provided on behalf of the Council. 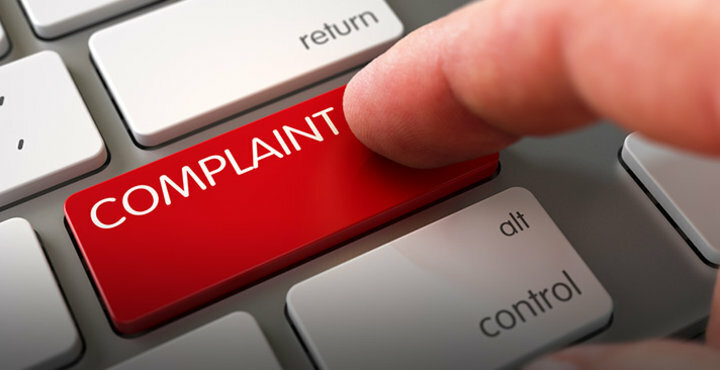 Our service providers require to have their own complaints procedures which mirrors out complaints procedure and they are expected to provide complaints performance information to the Council. Customers using these services are normally encouraged to use the provider's local complaints procedure. As an alternative, and in some circumstances, you can request that your complaint is managed by the Council on your behalf. What can't I complaint about? a routine first-time request for a service. For example, a first time request for a housing repair or bin uplift. If you are dissatisfied with the level of priority you have been given when applying for a house, you have the right to appeal against this decision. If your planning application is refused, you have a right of appeal to Scottish Ministers within 6 months of the decision. If you believe your house is incorrectly valued for Council Tax, you can appeal to the Assessor. If you believe you have been wrongly issued with a parking ticket, the right of appeal is outlined on the back of your ticket. Anyone can make a complaint to us, including the representative of someone who is dissatisfied with out service. On occasions, we may ask you to provide evidence that you have the right to speak on someones behalf. If you have any questions about this, please do not hesitate to contact us. finding out that you have a reason to complaint, but not longer than 12 months after the event itself. If you have a complaint about our property management and are not happy with how we have investigated it and responded to you, you can contact the Housing and Property Chamber (HOPC). They work to resolve complaints and disputes between their home owners and their property managers/factors. Contact the HOPC: 0141 302 5900 or by emailing them. If you think you have been treated less favourably, please make this clear in your complaint.